A view from the village outskirts. My trip to Mawlynnong was wonderful and I had great fun climbing the tree houses as described in my last post. 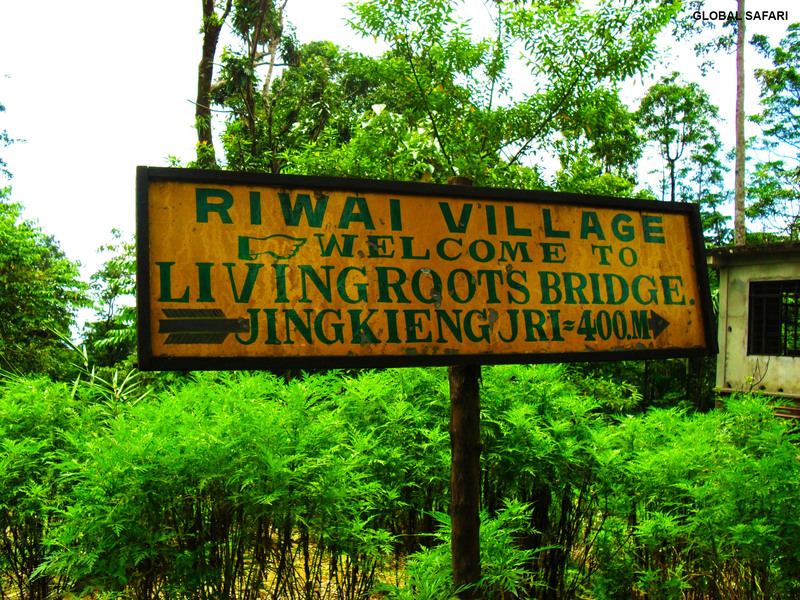 My next stop, about which I had great anticipation and excitement, was the village of Riwai right next to Mawlynnong. The excitement is all about a bridge that the villagers use every day. This bridge does the same thing that every other bridge in the world does, but what is really special is the reason behind its existence. 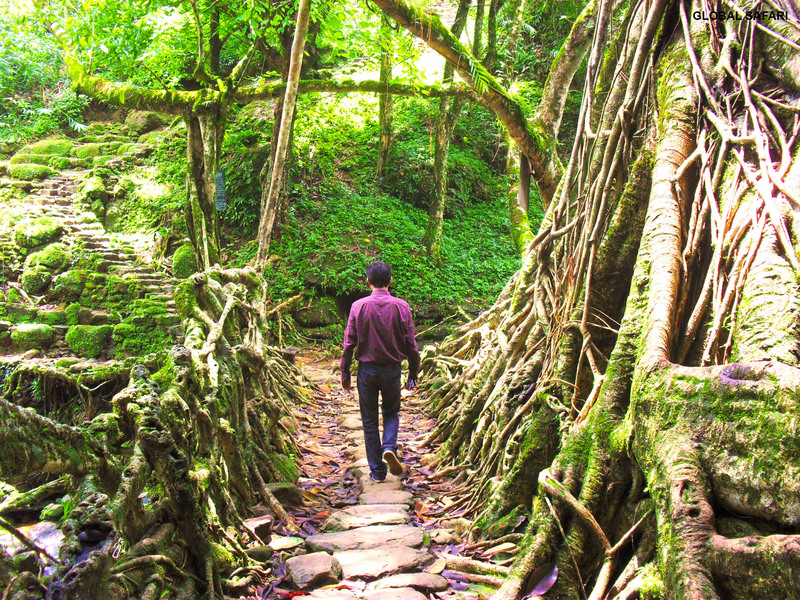 Unlike any other bridge, this one has got a life; Its a living roots bridge. This is the bridge at Wahthyllong that could be at least a century old. 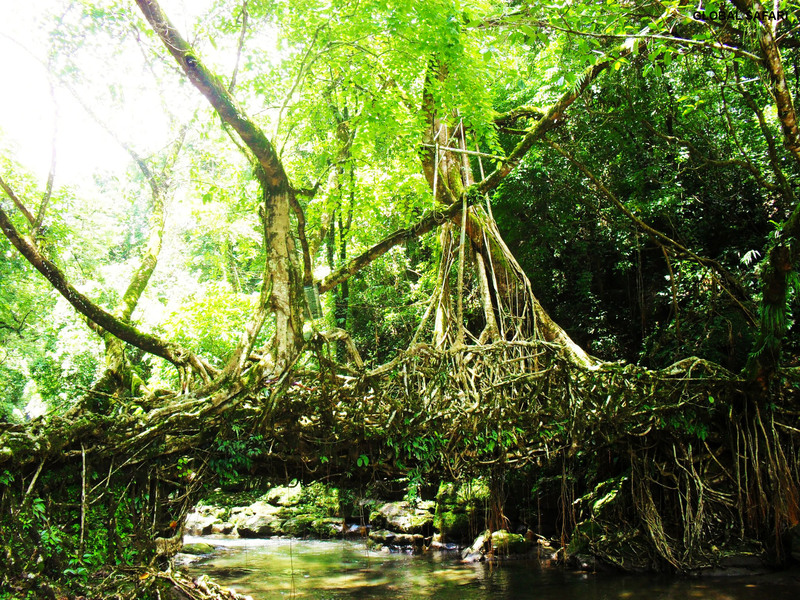 The bridge is made up of roots and branches of ficus trees standing on the either side of the stream. How the bridge was “grown” is a lengthy and elaborate affair. The villagers first planted two ficus trees on either side and connected them with bamboos. Over the years the roots and branches of the two ficus trees were made to crawl over the bamboo from either side and meet in the middle. With the passing of time, the roots and branches got strongly intertwined with each other and became strong enough to support not only its own weight but also that of people and animals who use it regularly. The gaps in between the roots and the branches were filled with rocks by the villagers and with time and moss growing on them it kind of started looking very natural. 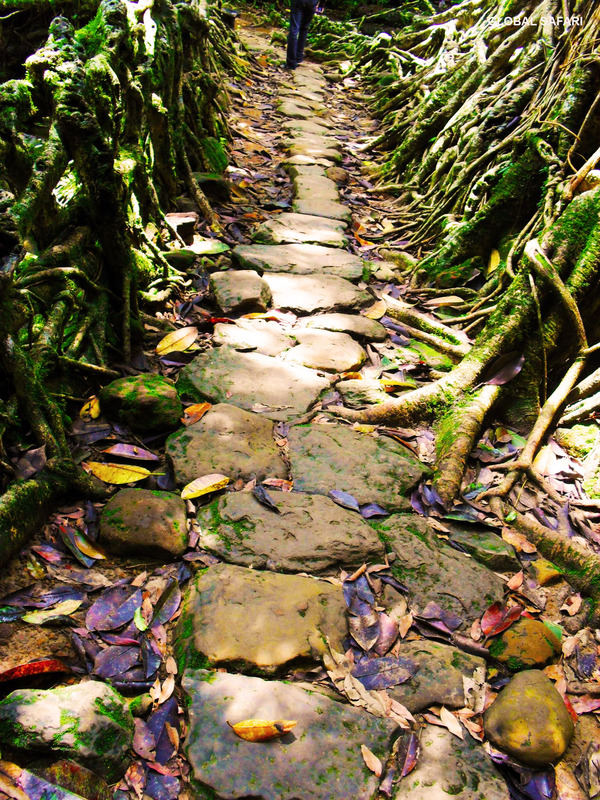 A cobblestone path sculpted by man and nature together. Going up and down the bridge. This is a true wonder that is hidden in a distant corner and to my astonishment, majority of the local state population is still unaware of its existence…This really is the time to head towards Riwai and see for yourself what the fuss is all about!! That is an amazing story and your picture show the beauty of the bridge. This is an amazing place to be…I am sure you will love it…. I have read about this and was very curious to visit, do you need a guide or is it easy to plan the trip on your own? It will be better if you go with a guide…Our guide was amazing…If you ever decide to visit let me know I can pass on his contact details to you…. Thanks for a story of the bridge! I can just see it, smell it, feel the movement.Thanks for visiting my blog. What an amazing place, and wonderful photos and story to go along with it! What an unusual bridge…that would be a great place to sharpen my claws and take a sunbath! Can’t wait to check out your next post! The human’s son in law just started a blog today on WordPress, and I heard her tell him about your blog….he plans to stop by! Wow Shrimp that is so wonderful…Send my regards to your humans and lots of love to you as well…My next post is coming soon…. I will!! She’s excited to read your next post! Wonderful experience. Thanks again sharing it. The view from the village outskirts is amazing. Thank you for visiting and the like of my post “Twists and Curls”. 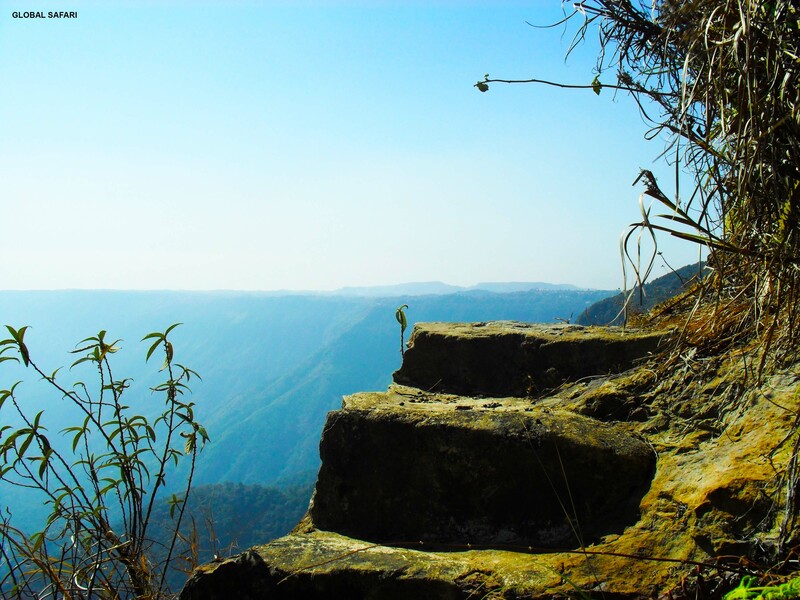 How amazing is the view from the village outskirts – truly awesome. I just love the bridge that lives – how ingenious of the villagers to have had this work of art in progress. Truly inspirational and beautiful! Thank you for these photos and the story of it all. Fascinating. And to think I may never have known about this bridge if I hadn’t happened upon your post! I am so happy that I could tell you about this wonderful place…Thanks for visiting my blog…. Yes, this is such an innovative idea…. 🙂 The view was great indeed!!! Yes it is very beautiful…So happy that you enjoyed reading the post…. Thank you. Nature is truly fascinating! That is beautiful and fascinating! The local villagers say it is more than 200 years old but no one is sure…No body knows how long it took to build the bridge..
← Mawlynnong: Serene, clean and spectacular…..